10 Questions on "Ask A Speaker | Panel 1 | Jay Smith & Gerry Karr"
Mr Smith the Vectrex community even decades after the publishers have abondened the system is very much alive. New games and utilities are created regularly – especially this year has seen many new games/tools/hardware. Do you in any way still follow current vectrex developments and releases – and what do you think of them? Jay Smith, do you recall anything about some Stress Tester units put in shopping malls (and based on a Vectrex)? Jay Smith,I appreciate you may not know the answer to this as this likley happened after MB bought GCE. 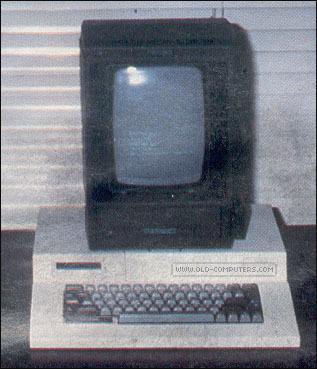 But do you recall anything about a computer prototype (with keyboard) for the Vectrex. Jay Smith, we know about the colour Vectrex and the Handheld Vectrex but do you recall any other Vectrex prototype software or hardware which never became public? Jay Smith, When checking the back of a Vectrex, it can be seen that it was either made in Taiwan or Hong Kong. It seems from my limited study (looking inside 9 Vectrex consoles) that the Hong Kong models would have had a higher bill of materials because a lot of chips are socketed, whereas the Taiwan models have less socketed chips. Did one factory come after the other (Hong Kong followed by Taiwan) and as a result to reduce costs, or were there simply two factories being used in parallel? Jay Smith, Most of the Vectrex games catalogue use the analogue stick in digital mode. When implementing an analogue joystick, with analogue to digital conversion hardware on the Vectrex, where you disappointed afterwards that only a couple of games made use of the analogue functionality? Jay Smith, over the years several of the Vectrex prototypes have emerged including Pitcher’s Duel, Tour de France, Dark Tower and most recently Mail Plane. These games seem to be in a pretty complete state. The Vectrex enthusiast community wonders a lot about how far along 3D Pole Position was before its release was complete. Jay Smith, can you tell us about the plans to revive the Vectrex as a handheld in the late 1980’s? Jay Smith, on the Vectrex cart port, there is a signal line (pin 35 on the Vectrex cat connector) taken directly from the 6522 PIA and it is a software controlled line. Was this intended for any future specific hardware, or just included as good computer design practice.